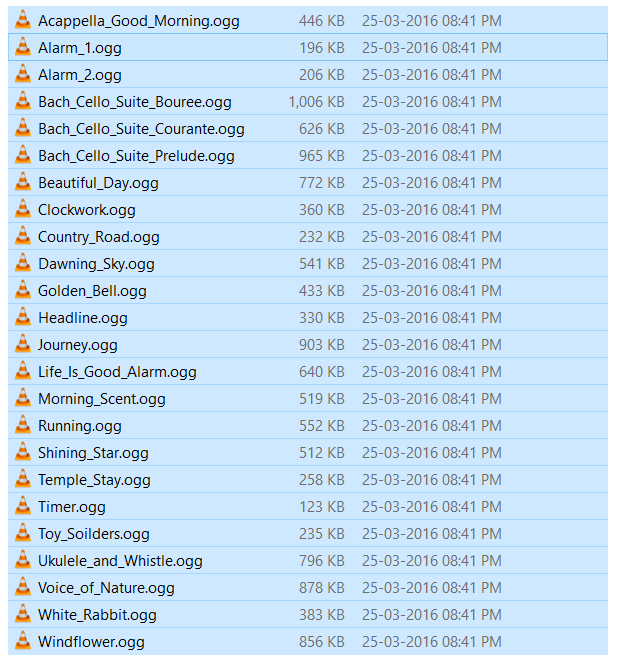 Here is the pack of tones from the LG G5, which comprises 85 UI tones, 27 ringtones, 20 notification tones, 24 alarm tones and 4 .jet files of which we have no idea. The G5 is the LG’s hot-piece for the year 2016 that would dominate the headlines. It’s widely anticipated device, and as such we thought you might find it cool to download the ringtones LG packed in with the G5, so here they are. You can use the G5 tones on any devices on which you can copy them too. If you own an Android device, simply unzip the tones’ zip file to et various tones, and copy them over to any folder of your Android device. Then go to Settings, Notifications and choose your ringtone or notification tone. If that doesn’t show the above ringtones automatically, then better look for an app on the play store. You can also use these G5 ringtones on a PC, of course.